I do like to be beside the seaside, as the famous song goes. 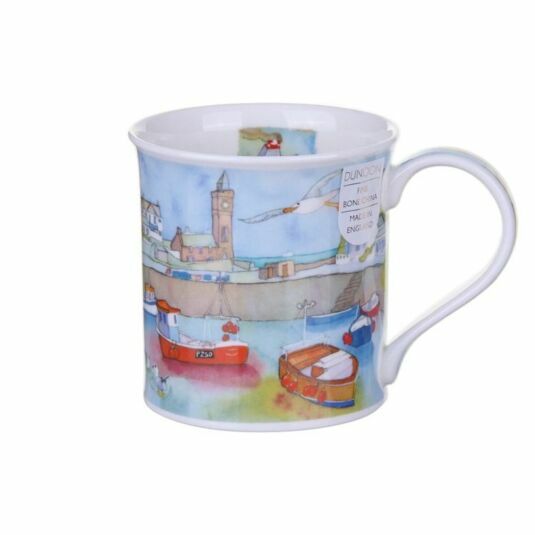 Understandable when you see such scenes as the ones depicted beautifully on this range of ‘Coastal View’ mugs. This one features a picturesque harbour scene with fishing boats and seagulls, painted by the brilliant Emma Ball. Emma Ball is a much loved watercolour artist who has been working closely with Dunoon for many years. She lives in Nottinghamshire, but often visits the British coastline, which has been an inspiration and the subject of many of her designs. Emma's watercolours are instantly recognisable by their warmth, colours and beautiful style. Emma admits herself that lucky artistic accidents and experimentations contribute largely to the appealing look of her finished designs, rather than following any specific techniques. 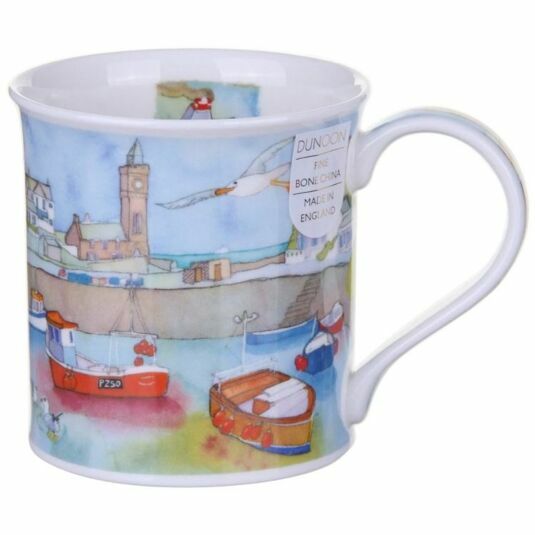 These classic shaped, fine bone china mugs feel good to hold and are the canvases for some of Dunoon's most popular, and certainly their most detailed, designs. With a capacity of 300ml, all designs are both dishwasher and microwave safe, with the exception of those featuring gold embellishment.